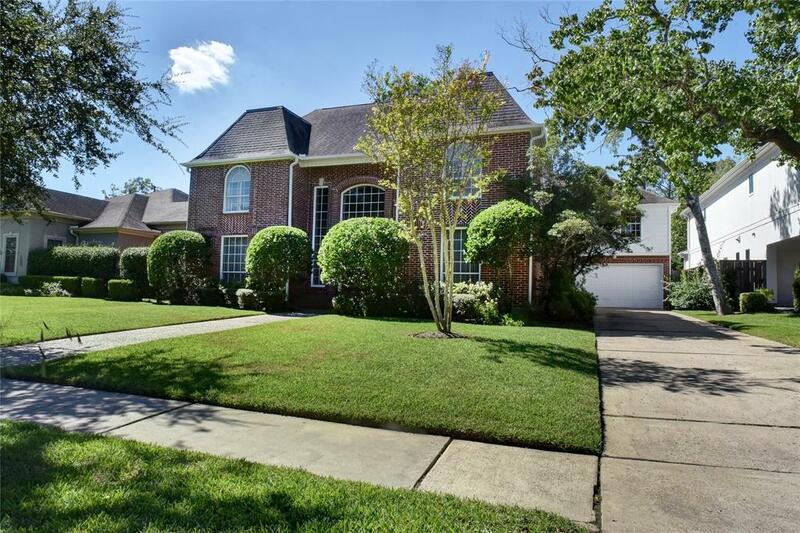 Impressive 2-story home built in 1983 on 11,160sq ft lot (per HCAD) close to park, pool, tennis, clubhouse. 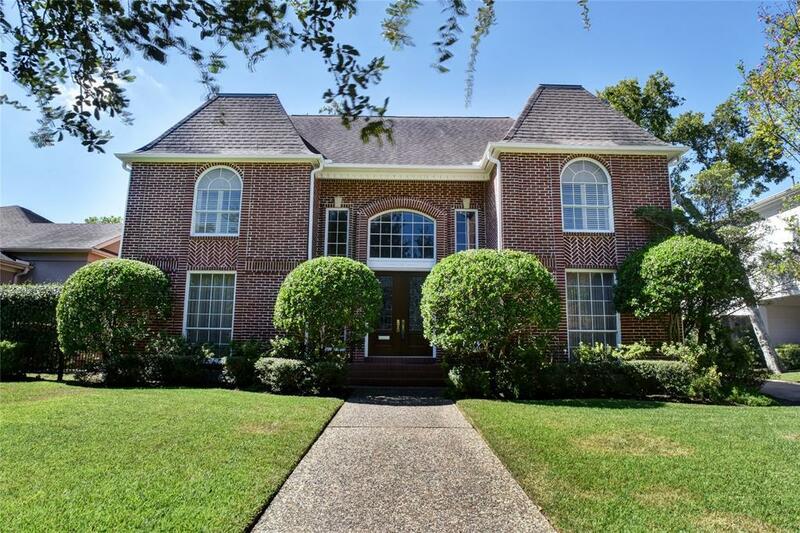 Well loved with huge formals, marble floors, and master bedroom down. 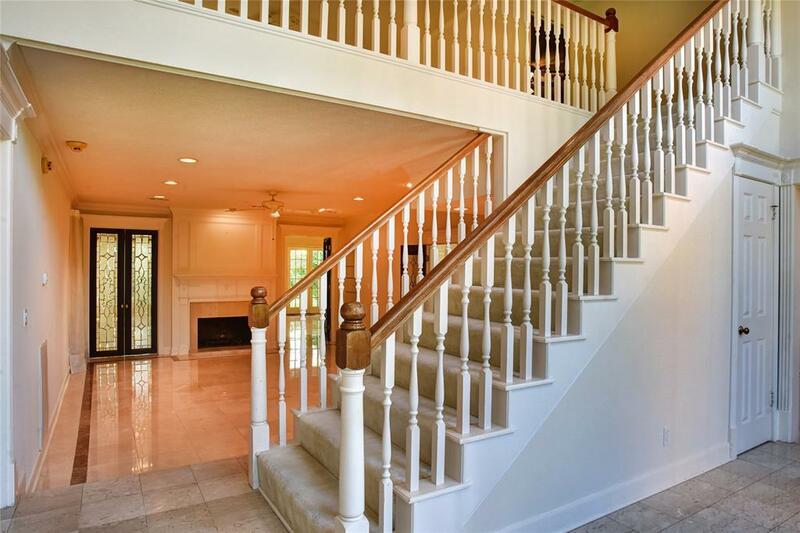 Front and back staircases lead up to second floor light-filled family room, fireplace, plus gameroom, 4 bedrooms, wood paneled study and a well appointed, tucked away, attached guest quarters or media/play room. All rooms, closets, storage of significant size and stature. This home lends tremendous possibilities for use considering overall square-footage both inside and out. Home was added onto in the mid-1990's. Sizable shaded back yard and a 3-car tandem garage with interior workshop, storage complete the package. A big property for big dreams.